WARNING: Non-citizens should beware about carrying medical marijuana through US airports. Although TSA and local poliice have generally been tolerant of medical marijuana in airline baggage in legal states like CA, this may no longer be the case when dealing with non-citizens. If you are not a U.S. citizen, think about whether you should carry your medical cannabis recommendation with you. Reports are that ICE is asking if people have their cards and/or use medical marijuana, and using that as grounds for deportation on grounds that they are in violation of the federal Controlled Substances Act. This means permanent residents, Visa holders, and those who are not naturalized nor are a natural born citizen. MAUCRSA establishes a uniform licensing regime for both medical and adult-use cannabis effective Jan 1, 2018. 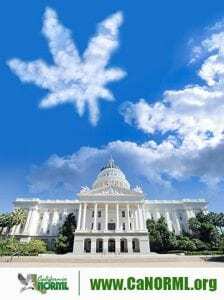 Consisting of two separate bills sponsored by the Governor’s office, SB 94 and AB 133, MAUCRSA supplants prior legislation known as MCRSA (formerly MMRSA), which applied only to medical cannabis. It also makes adjustments to California’s legalization law, the Adult Use of Marijuana Act (AUMA) a.k.a. Prop 64, consistent with the intent of the initiative. Licenses under MAUCRSA being issued according to regulations promulgated by the Bureau of Cannabis Control and its affiliated agencies, the Department of Food and Agriculture (for cultivation) and the Department of Public Health(for manufacturing, packaging and labeling). 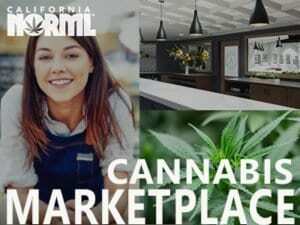 Information is posted at the California Cannabis Portal. Existing, non-licensed medical marijuana collectives, which are currently authorized by state law SB 420, will cease to be lawful starting one year after the Bureau posts a notice that it has begun licensing (HSC 11362.775(d-e) (January 9, 2019). After that, the only gardens that will be legal without a state license will be individual personal-use gardens or collective gardens for up to five patients, subject to state law and local control. Prospective commercial applicants are strongly advised to apply to the state Board of Equalization for a Resale Permit, and to prepare for seeking approval from their local governments. See the state Bureau of Medical Marijuana Regulation website. Under Prop 215, medical patients and caregivers will still be entitled to grow however much is required for their personal medical needs under state law; however the courts have ruled that local ordinances can override state law. Non-medical growers are limited to six plants per residence by AUMA and locals cannot ban 6-plant gardens; however they can “reasonably regulate” them, including driving them indoors. UPDATE NOVEMBER 2016 – The passage of Prop. 64 (aka the Adult Use of Marijuana Act or AUMA) to legalize adult possession and cultivation of recreational marijuana in no way impinges on the rights of medical marijuana patients under Prop. 215. Read more. Also see: Do I still need a doctor’s note now that Prop. 64 has passed? PROPOSITION 215, the California Compassionate Use Act, was enacted by the voters and took effect on Nov. 6, 1996 as California Health & Safety Code 11362.5. The law makes it legal for patients and their designated primary caregivers to possess and cultivate marijuana for thier personal medical use given the recommendation or approval of a California-licensed physician. SB420, a legislative statute, went into effect on January 1, 2004 as California H&SC 11362.7-.83. This law broadened Prop. 215 to transportation and other offenses in certain circumstances; allowed patients to form medical cultivation “collectives” or “cooperatives”; and established a voluntary state ID card system run through county health departments. 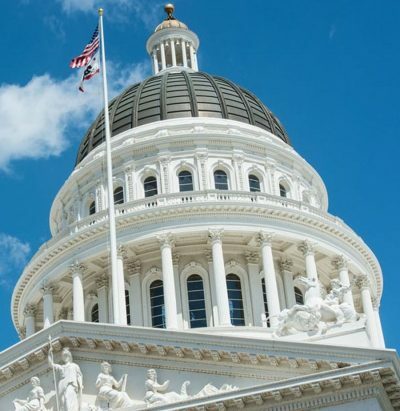 California’s laws regulating cannabis were substantially revised in 2017 by comprehensive new legislation known as the Medicinal and Adult Use Cannabis Regulation and Safety Act (MAUCRSA). Prop. 215 explicitly covers marijuana possession and cultivation (H&SC 11357 and 11358) for personal medical use. Hashish and concentrated cannabis, including edibles, (HSC 11357a) are also included. Transportation (HSC 11360) has also been allowed by the courts. Within the context of a bona fide collective or caregiver relationship, SB 420 provides protection against charges for possession for sale (11359); transportation, sale, giving away, furnishing, etc. (11360); providing or leasing a place for distribution of a controlled substance (11366.5, 11570). These protections, however, are being phased out in 2018 under MAUCRSA and Prop. 64 (see above). Prop. 215 lists “cancer, anorexia, AIDS, chronic pain, spasticity, glaucoma, arthritis, migraine, or any other illness for which marijuana provides relief.” Physicians have recommended marijuana for hundreds of indications, including such common complaints as insomnia, PMS, post-traumatic stress, depression, and substance abuse. WHO QUALIFIES AS A PHYSICIAN? Prop. 215 applies to physicians, osteopaths and surgeons who are licensed to practice in California. It does not apply to chiropractors, herbal therapists, etc. See a list of medical cannabis specialists. Prop. 215 requires physicians to state that they “approve” or “recommend” marijuana. Physicians are protected from federal prosecution for recommending marijuana by the Conant U.S. court decision. WHO MAY CULTIVATE UNDER PROP. 215? Patients with a physician’s recommendation and their primary caregivers, defined as, “The individual designated by the person exempted under this act who has consistently assumed responsibility for the housing, health, or safety of that person.” According to a state supreme court decision, People v Mentch (2008), caregivers must supply some other service to patients than just providing marijuana. 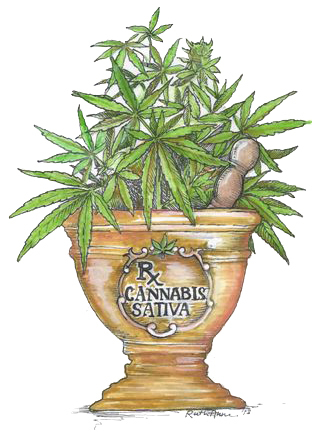 As an alternative, SB 420 allows patients to grow together in non-profit “collectives” or cooperatives. Collectives may scale the SB 420 limits to the number of members, but large gardens are always suspect to law enforcement. In particular, grows over 100 plants risk five-year mandatory minimum sentences under federal law. Many local governments have moved to ban or sharply restrict the right of patients to grow collectively. Policy varies greatly around the state (see more on local limits below). Existing, non-licensed medical marijuana collectives, which are currently authorized by state law SB 420, will cease to be lawful starting one year after the Bureau posts a notice that it has begun licensing (HSC 11362.775(d-e) (January 9, 2019). After that, the only gardens that will be legal without a state license will be individual personal-use gardens or collective gardens for up to five patients, subject to state law and local control. Under Prop 215, medical patients and caregivers will still be entitled to grow however much is required for their personal medical needs. Non-medical growers are limited to six plants per residence by AUMA. In the meantime, prospective commercial applicants are strongly advised to apply to the state Board of Equalization for a Resale Permit, and to prepare for seeking approval from their local governments. See the state Bureau of Medical Marijuana Regulation website. HOW MUCH CAN I POSSESS OR GROW? Under Prop. 215, patients are entitled to whatever amount of marijuana is necessary for their personal medical use. However, patients can be arrested if they exceed reasonable amounts and they can be cited or fined for exceeding local laws. State law does not prevent a local government from further restricting or banning the cultivation of medical cannabis. See more on cultivation. Proposition 64, which was passed by the voters of California in November 2016 to legalize adult recreational use of marijuana, requires local jurisdictions to allow 6-plant-per-parcel gardens. Locals may adopt “reasonable regulations” on those gardens, including requiring them to be grown indoors. CAN I STILL BE ARRESTED OR RAIDED? Yes, unfortunately. Many legal patients have been raided or arrested for having dubious recommendations, for growing amounts that police deem excessive, on account of neighbors’ complaints, etc. Once patients have been charged, it is up to the courts to pass judgment on their medical claim. A landmark State Supreme Court decision, People vs. Mower, holds that patients have the same right to marijuana as to any legally prescribed drug. Under Mower, patients who have been arrested can request dismissal of charges at a pre-trial hearing. 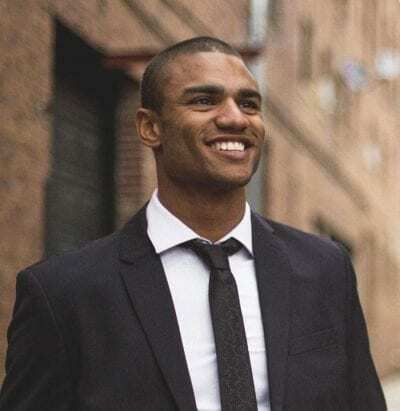 If the defendant convinces the court that the prosecution hasn’t established probable cause that it wasn’t for medical purposes, criminal charges are dismissed. If not, the patient goes on to trial, where the prosecution must prove “beyond a reasonable doubt” that the defendant is guilty. Those who have had their charges dropped may file to have their property returned and claim damages. In some cases, police raid patients and take their medicine without filing criminal charges. In order to reclaim their medicine, patients must then file a court suit on their own. For legal assistance in filing suit for lost medicine, contact Americans for Safe Access). CAN I BE CHARGED OR PENALIZED FEDERALLY? Under the U.S. Controlled Substances Act, possession of any marijuana is a misdemeanor and cultivation is a felony. A Supreme Court ruling, Gonzalez v Raich (June 2005), rejected a constitutional challenge by two patients who argued that their personal medical use cultivation should be exempt from federal law because it did not affect interstate commerce. Despite this, federal officials have stated that they will not go after individual patients and they have not. 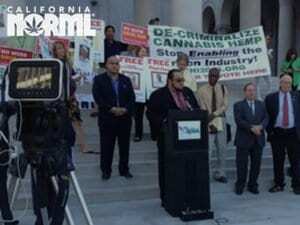 Medical marijuana patients are not protected while on federal park land or forest land in California. 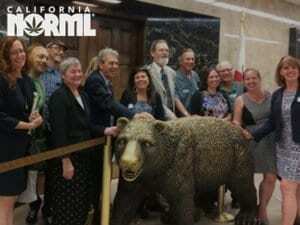 CalNORML has received reports of campers and those driving through federal land who are searched, charged with federal possession statutes, and had their medicine confiscated. A California medical recommendation is not a defense in federal court to these charges. The US Dept of Housing and Urban Development allows local housing authorities to determine their own policies regarding medical marijuana use in HUD housing. Many don’t allow it. In rare cases, users may lose food stamps or other federal benefits if they’re discovered. SHOULD I GET A STATE I.D. CARD? Patients are not required to get an ID card to enjoy the protection of Prop. 215, but a state card can provide an extra measure of protection against arrest. Patients and caregivers can obtain state ID cards through the health departments of the county where they live (except Sutter county). The state ID card system has safeguards to protect patient privacy. Police and employers cannot track down patients through the registry. Patients with a state ID card are exempt from sales tax in dispensaries under the new state law (AUMA). They are still subject to other taxes under AUMA. The Patients’ ID Center in Oakland (www.patientidcenter.org) offers ID cards for all California residents that are honored by many collectives and police. In addition, many doctors now offer ID cards that can be verified. Hundreds of collectives are presently providing marijuana to patients in accordance with SB 420 and the A.G.’s guidelines. Find dispensaries and delivery services by zip code or city . SB420 bars marijuana smoking in no smoking zones, within 1000 feet of a school or youth center except in private residences; on school buses, in a motor vehicle that is being operated, or while operating a boat. Patients are advised to be discreet or consume oral preparations in public. WHERE CAN I GROW MEDICINE? Although Prop. 215 allows patients to grow their own medicine, landlords are not legally obliged to allow it. Many cities and counties have passed zoning ordinances that restrict where patients can grow, in some cases outlawing cultivation altogether. See local policies. CAN I SELL MY EXCESS MEDICINE? HOW CAN I START A COLLECTIVE? The A.G. has issued guidelines for operation of cannabis collectives and coops. For details, see our collective tips page. CAN PRISONERS AND PROBATIONERS USE MEDICAL MARIJUANA? SB420 allows probationers, parolees, and prisoners to use medical marijuana and to ask a judge to verify their rights. However, medical marijuana is regularly disallowed in jails and prisons. CAN PATIENTS BE DRUG TESTED AT WORK? The California Supreme Court has ruled that employers have a right to drug test and fire patients who test positive for marijuana, regardless of their medical use (Ross v RagingWire, 2008). Some employers will excuse patients if they present a valid 215 recommendation. Others won’t. 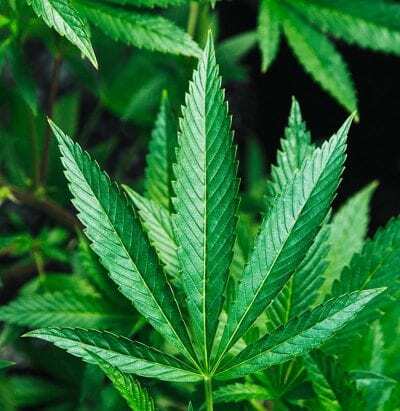 Marijuana use is never permitted in jobs with federal drug testing regulations, such as the transportation industry. CAN I TAKE MY MEDICAL MARIJUANA ON A PLANE? Some airports, like Los Angeles and Oakland, are respectful of patients’ rights, but others like Burbank aren’t. If TSA security screeners find marijuana in your luggage, the standard procedure is to turn you over to local law enforcement, who follow state, not federal, law. To avoid hassles, patients are strongly advised NOT to declare their medicine to TSA, but to carry it discreetly like other medicines along with proof of their 215 eligibility. HOW LONG ARE RECOMMENDATIONS VALID? Under Prop. 215, a recommendation is valid so long as the doctor says it is. However, SB420 requires ID cards to be renewed annually, and many police refuse to recognize recommendations that are older than a year or so. Courts have ruled that patients must have a valid approval at the time of their arrest, though this can have been oral. Prop. 215 arguably applies to anyone with a recommendation from a California physician, regardless of whether they’re a resident, although this has never been tested in court. However, most California physicians and dispensaries refuse to serve out-of-staters. Some other states, such as Arizona, recognize out-of-state patients. Oregon allows out-of-state patients provided they have an Oregon physician’s recommendation. Read more about other states’ laws. Patients under 18 should have parental consent. CAN I GROW OR USE MEDICAL MARIJUANA WITH CHILDREN IN THE HOUSE? There is nothing in state law against this. However it’s advised to keep your medical marijuana away from children. Make sure that you don’t leave edibles around where kids can get them, and keep gardens away from where they play. In rare cases Child Protective Services has become involved, mostly in cases with large plant numbers, evidence of sales, neglect, or messy divorce proceedings. In such cases, CPS tends not to be understanding about medical marijuana and can always allege child endangerment. CAN I OWN OR BUY A GUN WITH A MEDICAL MARIJUANA CARD? The federal Bureau of Alcohol Tobacco and Firearms sent warning letters to gun dealers in 2011 warning them they could not sell to known medical marijuana users. When buying a gun, you may be asked whether you are a user of illegal drugs and/or medical marijuana. Answering yes makes you ineligible to purchase; falsely answering no is in principle punishable as perjury. This should not affect current gun owners. Although California law does not prohibit medical marijuana users from having guns, using a gun in connection with an offense such as cultivation or possession for sale can result in additional criminal charges. Users are advised to keep their guns in a location that is separate from their marijuana. Contact a CalNORML Legal Committee Attorney. &nbsp;&nbsp;&nbsp;&nbsp;&nbsp; (A) To ensure that seriously ill Californians have the right to obtain and use marijuana for medical purposes where the medical use is deemed appropriate and has been recommended by a physician who has determined that the person’s health would benefit from the use of marijuana in the treatment of cancer, anorexia, AIDS, chronic pain, spasticity, glaucoma, arthritis, migraine, or any other illness for which marijuana provides relief. &nbsp;&nbsp;&nbsp;&nbsp; (B) To ensure that patients and their primary caregivers who obtain and use marijuana for medical purposes upon the recommendation of a physician are not subject to criminal prosecution or sanction. &nbsp;&nbsp;&nbsp;&nbsp;&nbsp; (C) To encourage the federal and state governments to implement a plan to provide for the safe and affordable distribution of marijuana to all patients in medical need of marijuana. &nbsp;&nbsp;&nbsp;&nbsp;&nbsp; (2) Nothing in this Act shall be construed to supersede legislation prohibiting persons from engaging in conduct that endangers others, nor to condone the diversion of marijuana for nonmedical purposes. &nbsp;&nbsp;&nbsp;&nbsp;&nbsp; (c) Notwithstanding any other provision of law, no physician in this state shall be punished, or denied any rights or privilege, for having recommended marijuana to a patient for medical purposes. &nbsp;&nbsp;&nbsp;&nbsp;&nbsp; (d) Section 11357, relating to the possession of marijuana, and Section 11358, relating to the cultivation of marijuana, shall not apply to a patient, or to the patient’s primary caregiver, who possesses or cultivates marijuana for the personal medical purposes of the patient upon the written or oral recommendation or approval of a physician. &nbsp;&nbsp;&nbsp;&nbsp;&nbsp; (e) For the purposes of this section, “primary caregiver” means the individual designated by the person exempted under this act who has consistently assumed responsibility for the housing, health, or safety of that person. &nbsp;&nbsp;&nbsp;&nbsp;&nbsp; Sec. 2. If any provision of this measure or the application thereof to any person or circumstance is held invalid, that invalidity shall not affect other provisions or applications of the measure which can be given effect without the invalid provision or application, and to this end the provisions of this measure are severable.